This week the British National Health Service will turn 70. The NHS came into being on the ‘appointed day’ of 5 July 1948 – three years to the day after Labour’s surprise election victory under Clement Attlee. You’ll find me sharing my thoughts on the history of the NHS and what it replaced in a number of places over the week, including the BBC History Magazine online and various local papers and radio stations. BBC Coventry & Warwickshire: Breakfast Show with Trish Adudu (starts at 1hr 8mins). Manchester Evening News: A health check for a national treasure – interviewed on the history of the NHS. 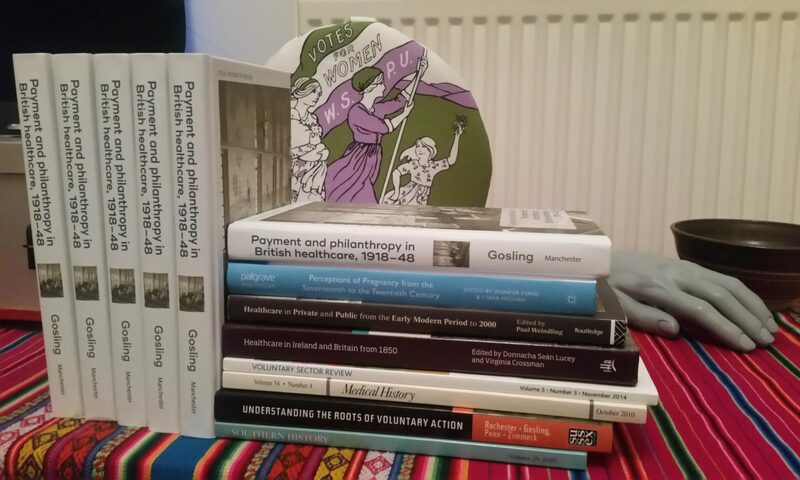 Social History Exchange: NHS 70: Before 1948 – discussing the political implications of working on the history of British healthcare before the NHS. WLV blog: The significance of the NHS offering some thoughts for the University of Wolverhampton blog on the arrival of the NHS and the difference it made, and Healthcare in Wolverhampton before the NHS – unusual for its time, focusing specifically on the unusual mix of private and charitable services provided before 1948 by the Queen Victoria Nursing Institute in Wolverhampton. You can find out more about my research by clicking here.